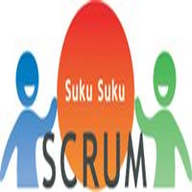 SUKU SUKU Scrum is a Scrum study group in Japan. The members have been learning philosophies, practices, activities and trials and errors, each other. Scrum is a development process framework mainly for Software Production.